Milton Bamboo Trading Co., Ltd.
Not just for Bamboosa babies anymore! 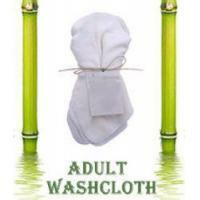 Our adult washcloths are sized at 11 x 11 and come in packs of 3! Super absorbent, soft and dye free - carry them with you to the gym or use them at home in the bathroom, kitchen or in the garage. Soft, cushy and incredibly absorbent ... you'll never go back! 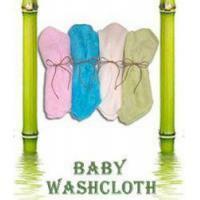 Machine wash, mild soap, cold or warm water and tumble dry. 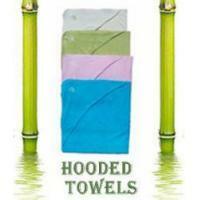 80% Viscose from Organic Bamboo and 20% recycled polyester (rPET) - recycled soda bottles. The bottles are sorted, shredded, then melted and spun into fiber. The EPA and the FDA has tested Recycled PET bottle material for any harmful effects with the conclusion that rPET is of "suitable purity for food-contact use". Recycling organizations and manufacturers have embraced this technology as a positive use of recycled material and alternative to landfill disposal. 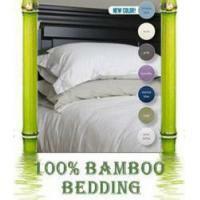 All Bamboosa fabric is free of chlorine and formaldehyde. At The Milton Bamboo Trading Co., Ltd., we believe anytime a customer need can be met by natural means, it is not only better for the environment, but also better for the individual's general well-being. At the same time, we understand that the shopper appreciates these natural goods without paying large premiums, sacrificing quality, or significantly changing their personal style preferences. With this in mind, Milton Bamboo continually seeks out new lines of bamboo apparel from trusted sources that provide our customers with natural comfort and style, at competitive prices. We stay committed to our model because we believe it is not the customer's burden to lower their standards in order to keep themselves and the planet healthy. It is our goal to raise the bar for all companies who want to challenge the way we approach daily living. 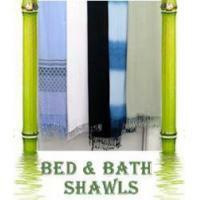 We guarantee our patrons will be satisfied with our product. Softness: Our 100% Viscose from Bamboo apparel is softer than the softest cotton. 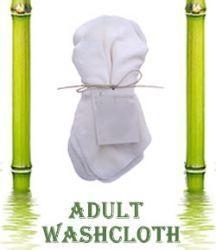 Our Bamboo/Organic cotton blends are also extremely soft but heavier in weight. This blend allows for more structure in our styles. The special process for garment dying our shirts adds even extra softness. 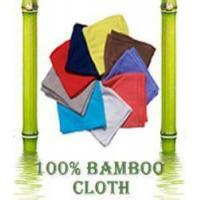 Protective: Viscose from Bamboo absorbs and dries sweat faster than cotton. Bamboo apparel is not only comfortable and breathable, but is also thermal regulating - keeping you cool in the summer and warm in the winter. Bamboo the plant: Natural/Sustainable: Classified as a tropical grass, Bamboo is nature's most sustainable resource and is grown without pesticides or any other chemicals. Bamboo, in its natural state, is 100% biodegradable and naturally regenerative (aka: a renewable resource!). Bamboo is one of the world's most prolific and fastest-growing plants, with some species growing up to 3 feet per day and reaching maturity in three to four years. This is compared to the typical 25 to 70 years for commercial tree species in the U.S. Bamboo is planted and grown on farms that have been in agricultural use for generations. 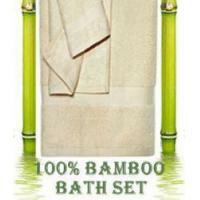 Around the world, over 2.5 billion people work with or depend on bamboo as a natural resource. Is viscose from bamboo, the new cotton? We think so! How we got started: The Company was founded by Lauren Holmes and Mark Ulatowski over lunch at our local Diner. Lauren has over 22 years of successful Real Estate experience, and Mark has over 25 years of sales and marketing experience in the technology and supply chain areas, primarily with start-up companies. We were discussing the latest economic and environmental issues of the day. While we discussed many topics that afternoon, we stumbled upon a common idea that was important to us both. We should create a new environmentally friendly business. We then looked at our strengths to establish a direction. We discussed several options and both agreed Bamboo Clothing and Linens was the way to go, Lauren has a thorough understanding of eco fashion trends and Mark’s technological knowledge and global connections made a great fit. Our first products for evaluation and testing were made that afternoon! The research began, we spoke to the owners of the fields, the manufacturers, the USDA, The FTC, and distributors making sure their bamboo were Oeko-Tex 100 certified, the pandas weren’t deprived of food and that no child labor was involved for starters. Once our bamboo research was completed, we realized that most of the products were coming from outside the USA. We found only one plant in the US that made the clothes here in the USA, we hooked up with them first, we then moved to Canadian manufacturers, and we got them on board with us. Then finally we went to Chinese manufacturers, and brought them into the fold. With nearly 50 years of combined business success, we believe in one common fundamental principle, When in doubt disclose”. 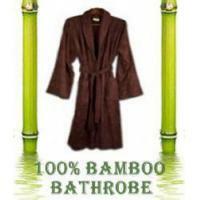 To this end, we can tell you about the lineage of each of our Milton Bamboo clothing products that we will have on this site. Where we have items that we find interesting and not posted in our store, we will provide links to others, that follow are principles and environmental policy, as best as they can.